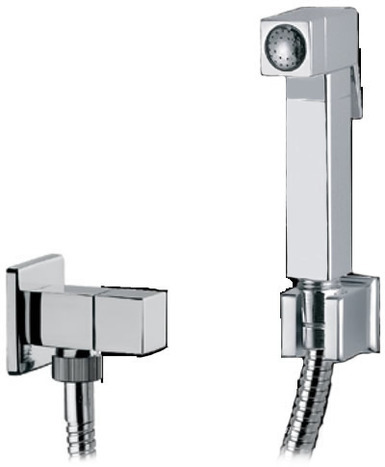 KIT1800 Special: Manual Pre-set Warm Water Bide Shower in mirror chrome finish. Pre-set warm water bidet shower kit. 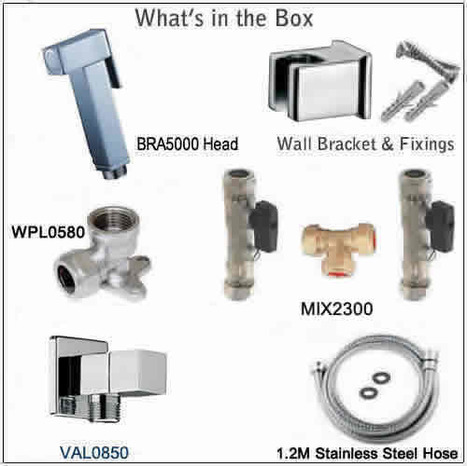 This kit provides all the key parts your plumber will require to install this quality suite at a discount price. Includes free next business day guaranteed courier delivery by DHL in mainland U.K.
Add £15.95 for delivery to rest of world. VAL0850 1/4 turn ceramic valve. 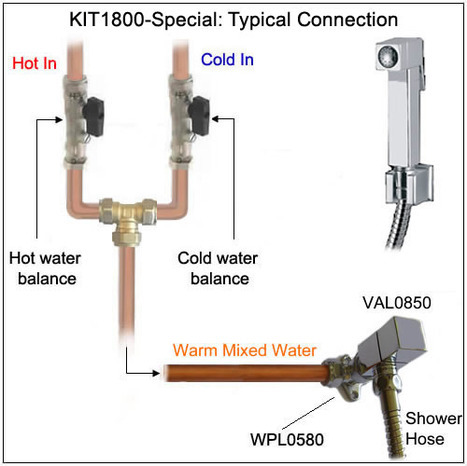 KIT1800: Special Manual Pre-set Warm Water Bidet Shower Kit. Manual Pre-set warm water bidet shower kit. Water temperature is pre-set to the desired operating temperature at the time of installation. Kit consists of the following parts. BRA5000 Italian square style Shower, Hose & Wall Bracket.